Danny Rand must unclench his hands — at least for now. Marvel’s Iron Fist TV show has been cancelled by Netflix. Although there will be no third season on the streaming service, there exists the possibility that it could return someday, perhaps to Disney’s own streaming platform, which they plan to launch next year. Disney, of course, is the parent-company of Marvel. A Netflix martial arts superhero drama, Marvel’s Iron Fist stars Finn Jones, Jessica Henrick, Simone Missick, Sacha Dhawan, Jessica Stroup, and Alice Eve. The series centers on Danny Rand (Jones) aka the Iron Fist, one of the Defenders. After being orphaned in a plane crash and raised to be an expert fight, Rand returned to New York to reclaim his legacy and family business. In season two, Danny must now leave behind the daily business of Rand Enterprises, in order to defend his city from a new threat. This is the first small screen series termination from the comic giant by the Reed Hastings run Netflix and a hard blow for the Finn Jones and Jessica Henwick led show about the mystically empowered NYC-based marital arts hero and Defenders member. Cast members on the series that as most recently run by Raven Metzner were informed of the cancellation in the last few hours, I hear. Of course, while out for the count at Netflix, the tale of billionaire Danny Rand and Colleen Wing may “live on,” to quote Friday’s statement, on other platforms. That “other” being the streaming service that Disney is expected to launch next year, which already has series on Marvel fan favorites Loki and the Scarlet Witch in the pipeline, with Tom Hiddleston and Elizabeth Olsen expect to reprise their big screen roles. I hear that while Marvel wanted Iron Fist to continue on Netflix, the parent company’s new rival to the streamer has put the idea of a resurrection in consideration as it fosters the likes of the already announced Jon Favreau produced Star Wars series too. This is the first Marvel’s Defenders-related series to end its Netflix run after just two seasons. The third season of Marvel’s Daredevil drops to Netflix a week from today, on October 19th. Marvel’s Jessica Jones has also been renewed for season three, and according the the latest reports, a Netflix renewal for Marvel’s Luke Cage is expected soon. What do you think? Are you a fan of Marvel’s Iron Fist TV series? If Disney picks it up for their new streaming service, will you pay to subscribe, so you can watch it? Sound off in the comments. Definitely disappointed, and not looking forward to yet another streaming service. 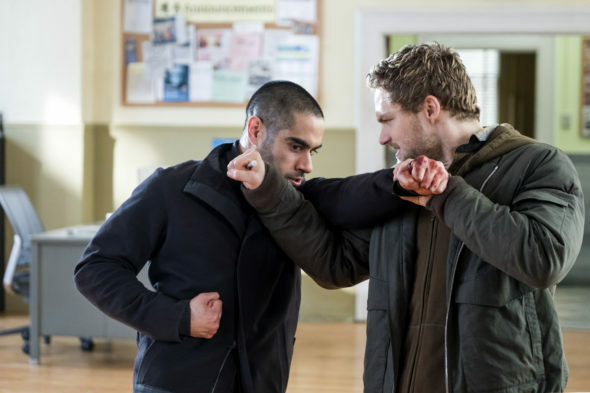 Season 2 of Iron Fist was a notable improvement to season 1, so I’m not sure why it would have been canceled now. Oh, well. I really liked season 2 of Iron Fist. This is disappointing news. Netflix should drop The Punisher instead. I might watch the Disney channel if they have plenty of new adult series like Iron Fist. I will not watch Iron Fist on Disney streaming. I am getting sick and tired of the countless new streaming companies. I will stick with Netflix. The Defenders and Iron Fist were the worst Marvel shows ever. Good to see them removed. They were. But, s2 of IF was vastly improved. They fixed a lot. Apparently you didn’t watch before passing your final judgement. And, Defenders wasn’t removed. You are wrong about that. It was a mini-series. Nothing to remove. The removal of IF and LC after improving upon them was a failure on Exec’s part to make competent decisions, as well as a failure of many viewers to actually pay attention. NO!!!!!!!! That show became the best Marvel\Netflix show after the Defenders aired. neither Cage nor Jones did anything good on the second season and so did The Punisher. I’ve lost my interest in Daredevil and anything else from that same group of mediocre shows.